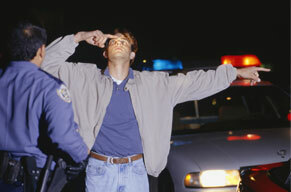 If you are arrested for drunk driving on a U.S. military base by military police, you will face federal DUI/DWI charges. While you may feel intimidated by the prospect of a federal court proceeding, proving those charges can be difficult for the government to do. I’m Schöen Parnell, a DUI lawyer with offices in Lynnwood and Kirkland. I have extensive experience in defending people charged with drunk driving in both Washington state and federal courts. I defend people charged with DUI at all U.S. military bases in the Seattle area, including Fort Lewis Army Base, Puget Sound Naval Shipyard and the Everett Naval Station. A drunk driving conviction on your record, which can mean much higher penalties if you are arrested again. I offer fair and flexible payment plans, so you don’t have to sacrifice the legal defense you deserve due to lake of funds. Military personnel who are stationed at a base in Washington state may not understand the implication of a drunk driving conviction on their driver’s license back home. The state and federal governments have reciprocity agreements, so your home state’s Department of Motor Vehicles will find out about your DUI/DWI conviction. If your driving privileges are taken away from you in the state of Washington, they will be taken away from you at home as well.